Tag "Computer Corporation of America"
Interchangeable Set-up Boards: permit problem change-over in minutes; thus IDA is always at work, there’s no lost set-up time! 20 Uncommitted Amplifiers: perform any computing function; and any required scale factor may be used for any number of inputs to any amplifier. Hold Control: usually found only in most expensive computers, permits introduction of gross non-linearities. 8 Initial Conditions: once fixed, are automatically restored after each solution. 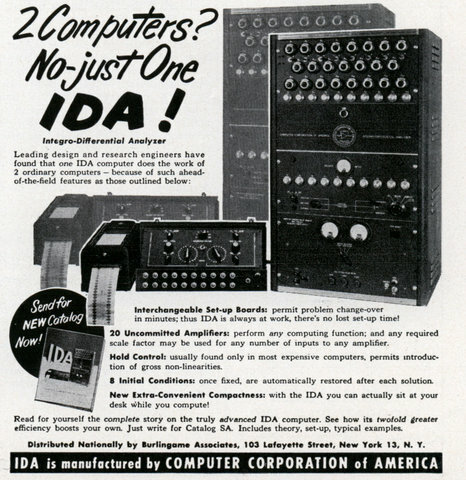 New Extra-Convenient Compactness: with the IDA you can actually sit at your desk while you compute! Read for yourself the complete story on the truly advanced IDA computer. See how its twofold greater efficiency boosts your owa Just write for Catalog SA. Includes theory, set-up, typical examples. 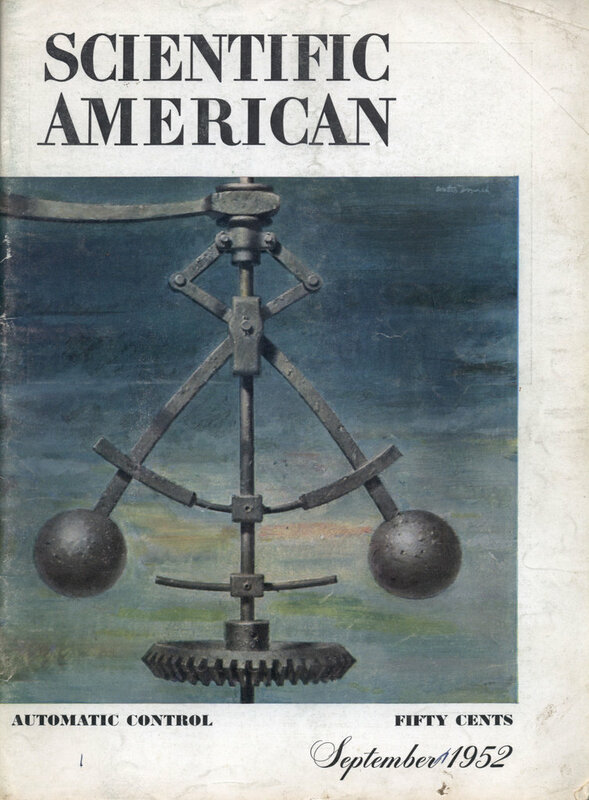 Distributed Nationally by Burlingome Associates, 103 Lafayette Street, New York 13, N. Y.